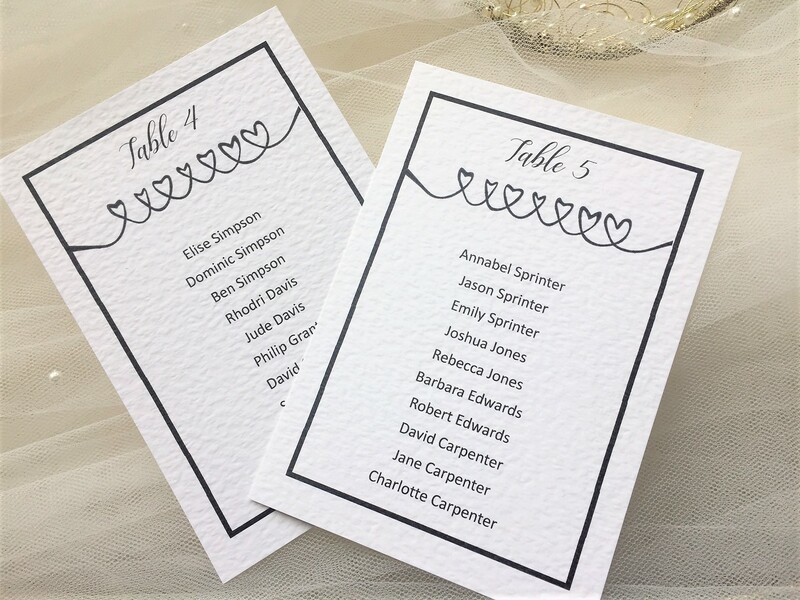 Linked Hearts Table Plan Cards are available on thick (270gsm) white or ivory hammered card. They can also be ordered on brown kraft card (280gsm). We have good selection of typefaces to choose from. 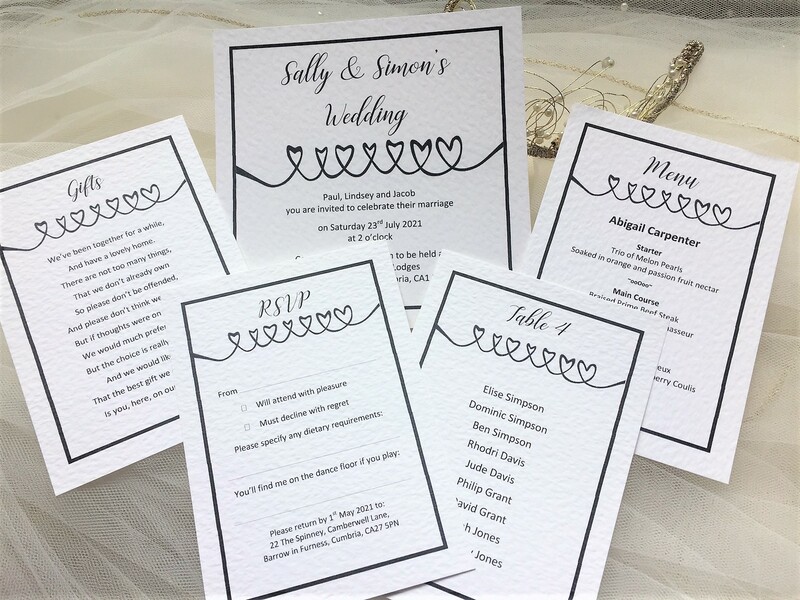 There are often last minute changes so its much easier to amend a single card rather than a complete seating plan. 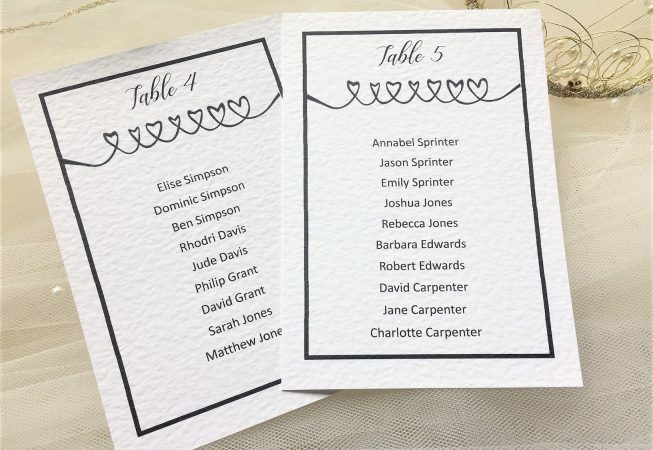 If you wish to order table plan stationery please contact us first. We will forward you the format we need your information in order for us to process your order. 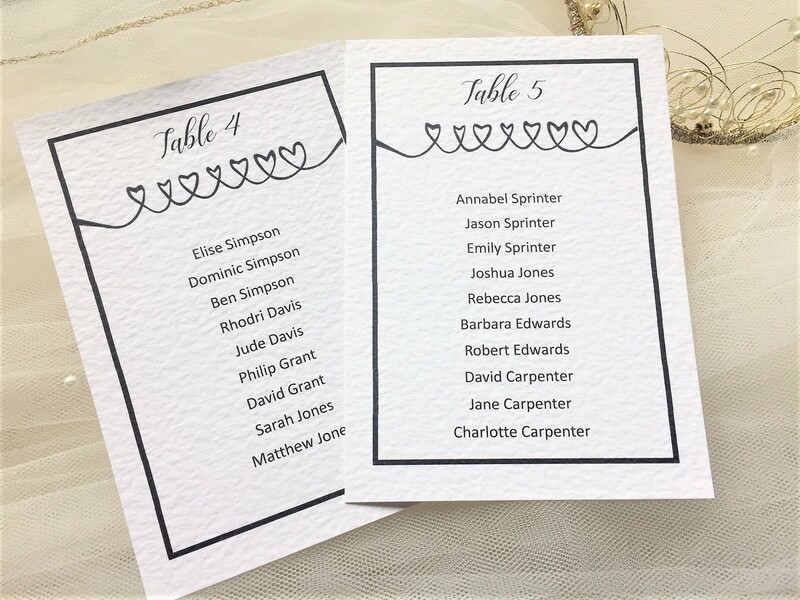 Linked Hearts Table Plan Cards are part of our Linked Hearts Wedding Stationery. Guests are saved from the mad panic of trying to find a seat on a table with their friends and family, you can place people where they’ll be happiest! Making sure everyone is seated next to like minded people will ensure your reception has a good atmosphere. Guests are happy chatting at their tables rather than making a dash for the exit it as soon as the reception is over! We have short lead times, our printing is done in house. 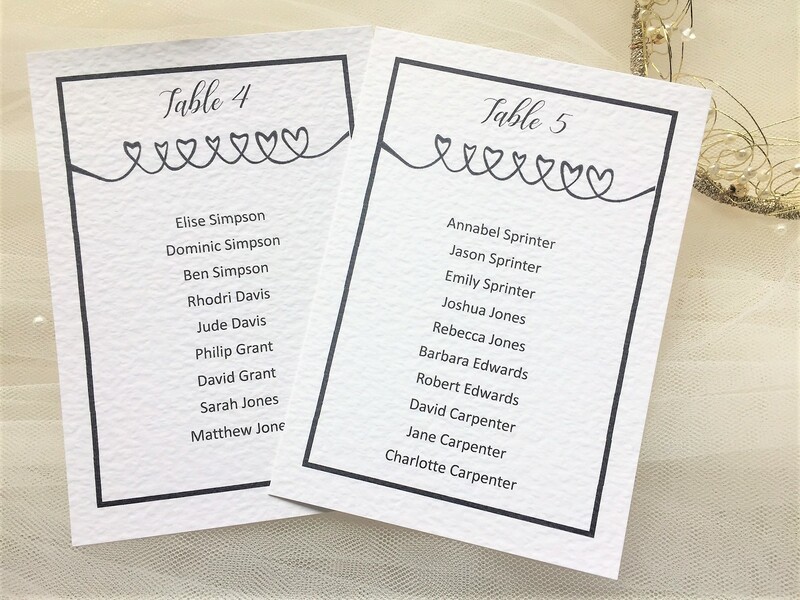 Table plan cards can be ordered and supplied within a short timescale, usually 3-4 days for quick delivery in the UK.